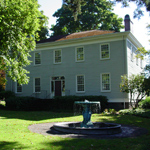 Fort Vancouver is a historical site of national significance as the location of a major British fur-trading fort from 1825-1860. It was the headquarters of the Columbia Department for the Hudson’s Bay Company. In 1818, the United States and Britain agreed to share all of the Oregon Country until a permanent border could be established. 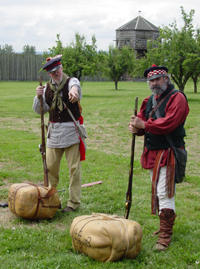 Fort Vancouver was the largest British fort in the region, with its location built strategically on the north shore of the Columbia River in an attempt to cement their claim to all of the Oregon Country north of the river. In 1846, when a treaty established the 49th parallel as the permanent border between the United States and the British Empire, the fort began to shrink in importance until the British finally abandoned it. 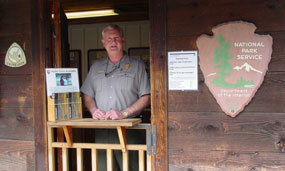 It is now one of 391 national park units in the United States operated by the National Park Service. Encounter aviation, military, and trade history at this vast complex. Watch a demonstration in the blacksmith shop, carpenter shop, or kitchen of a 1800s British settlement. Wander through homes of the elite on tree-lined Officer’s Row. View World War I and II aircraft, the world’s first bomber, and other relics of aviation history at the Pearson Air Museum.